The long guns chambered in .243 Winchester belong to the mainstream firearms and deserves attention when it comes to choosing the best scope for .243 rifle. Initially, a wildcat, the .243 Winchester or 6.2x52mm appeared in the early fifties as a far superior caliber to boring old .25-caliber rounds. Developed as a modification of the .308 Winchester (7.62x51mm), the .243 Win was intended to be used in light deer rifles, but it also found fertile soil in the world of varminters. 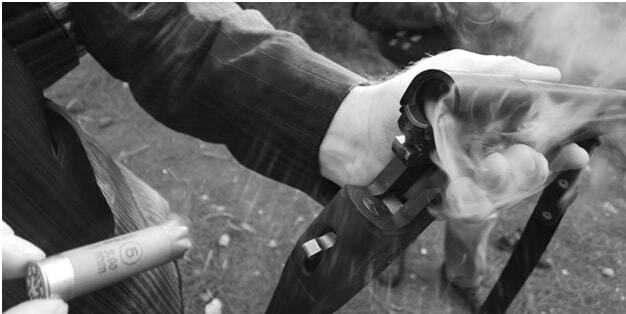 With a potential, if necessary, to bring down larger game such as wild boar or black bear, the .243 Winchester round quickly gained popularity among hunters worldwide. Anyway, the .243 has adequate killing power for the small to medium sized game with the fastest kills being produced inside 200 yards. Since the .243 Winchester would still have, the advantages of the high-velocity .22-calibers for long-range varmint hunting most hunters would advise a specific scope to complement the .243 rifle. 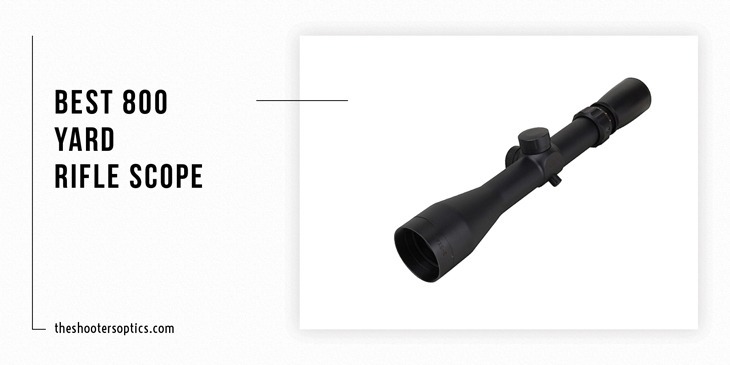 The quality riflescope with large objective bell is mandatory as it can help you observe predators clearly during the early morning or evening hours when they are most active. Besides that, as an all-around best scope for .243 Win, we would advise the variable power riflescope with low-end magnification in the 4-8x range while the higher end magnification of 12 to 25x will be the best. There are many available scopes on the market compatible with the .243 rifle, so choosing one can be quite difficult. Because it is almost impossible to read all the online reviews, we have prepared this overview to let you alone figure out which of these ten riflescopes from different price ranges would be the most appropriate to your needs and shooting style. What is the Advantage of a Best Scope for 243 Rifle? The Vortex riflescopes from Crossfire II series are completely redesigned and built for hard-core shooters while at the same time their price will not break the bank. This Vortex Crossfire II 3-12x56mm AO Rifle Scope with- V-Brite Illuminated Reticle delivers performance and durability that exceeds standards of similarly priced riflescopes. The Vortex mission-specific Hog Hunter Riflescope is a purpose-made scope made just for what the name suggests – hog hunting. Built around 30mm single-piece of aluminum housing, the tube is nitrogen- purged for water and fogproof performance in extreme conditions. Thanks to over-sized 56 mm objective lens designed for use in low-light conditions, avid hog hunters can now place shots at dusk, dawn or in heavy cover, when hogs are most active. The large objective lens and other glasses are multi-coated providing a clear image under low-light conditions. The Vortex Hog Hunter has the Adjustable Objective (AO) system enables parallax correction from 10 yards to infinity. The capped turrets sports adjustments for both windage and elevation of 60 MOA graduated in ¼ MOA per click. The Vortex Crossfire II 3-12x56 AO is available with two reticles, both placed in Second Focal Plane, and our choice would be the modified duplex crosshair called V-Plex. The V-Plex comes with an illuminated center red dot for a better low light performance, and its illumination can be adjusted for eleven brightness settings. 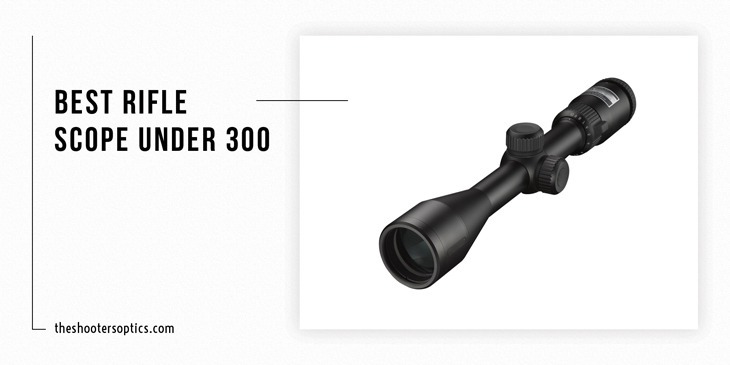 Featuring 3.5" of eye relief and 3:1 zoom ration, the magnification range is perfect for the task, and not only for the hog hunters but for any up to 300-yard varminter or deer hunter. - The most common complaints consumers relate to is a poorly designed battery cover that can fly off at times and slight fish eye at minimum power. The Vortex Crossfire II 3-12 x 56 is built for hunting big game, it fits well on the .243 as expected, and the 56mm objective brings in a lot of ambient light, making it great for shooting in a low light hunting situation. This particular scope is a great option if you plan to hunt sitting in a blind or heavy cover/brush and shoot at short to intermediate ranges at dusk. If you want a good general purpose scope for your .243 rifle than it is hard to go wrong with a 3-9x scope. However, if you want to broaden your capabilities with a wider magnification range, the perfect choice would be Leupold VX-2 with 4x to 12x power range. Featuring a versatile 3:1 zoom ratio and moderate size 40mm objective bell, the Leupold VX-2 4-12x40mm is appropriate for a wide range of shooting conditions and game. With a length of 12.4” and weight14 oz., the 1" main tube justifies the word Compact in its name. The two-piece scope body is built of 6061-T6 aircraft aluminum, sealed against moisture, and nitrogen filled to provide fog proof and waterproof virtues, the qualities so appreciated by the hunters. There is a selection of 6 different reticle styles for VX-2 hunting scopes, but we prefer the standard Duplex reticle placed in Second Focal Plane as the best choice for .243 rifle. As an additional option, Leupold offers CDS (Custom Dial System) elevation dials with a custom adjustment matched to the ballistics of your specific round and caliber. The Leupold VX-2 4-12x40mm Riflescope is available with an Adjustable Objective for quick and easy parallax adjustment in the field, with preset ranges from 25 yards to infinity. The adjustments for windage and elevation are possible in 1/4 minute of angle increments, and its range is 67 MOA. At lower magnification, the VX-II 4-12x40mm has 4.9" of eye relief, and at 12x it is quite acceptable 3.7", keeping the scope comfortable even with prolonged use. - However, the wide range of eye relief is not so convenient because it makes finding the sweet spot behind the scope pretty hard, especially at low power. Since the VX-2 is the lineal descendant of the famous Vari-X II line, it is one of the more popular budget scope series in the Leupold line with all glass surfaces protected by proprietary Multicoat 4 anti-reflective lens coatings. VX II hunting scopes are a good match for most big game rifles and dual-purpose calibers such as .243 Winchester, .257 Roberts or 6mm Remington. Vortex Optics has their product range spanning all pockets and needs, from the top end Razor to an inexpensive Crossfire riflescope from China. The Viper line is made in the Philippines and offers a vast choice of models and magnifications. Combination of the 30 mm tube and 50mm objective bells allows long-range capability, but it will also be useful in the dark adding several minutes of hunting time in both morning and evening hunts. The Viper housing is provided with waterproof and fogproof features utilizing O-ring seals and Argon gas purging. The 30mm body tube is the single-piece construction of 6061 T6 aircraft-grade aluminum with a long and tapering objective bell. All glass surfaces are treated to a Vortex ArmorTek coating that protects from the scratches and damage. The capped, hand-dialable turrets provide ¼ mil adjustments with audible clicks that are great for shooting out to about 500 yards. The reticle is placed in the 2nd focal plane and is versatile Mil Dot, which is useful for high-precision shooting and helping to estimate range, windage and bullet holdover. Vortex Viper includes unique MAG-View Bar adjustment lever that allows you to make quick power adjustments without ever taking your eye off your target. - While the Viper 6.5-20x is very clear even at 20 power, many users have found that eye relief, ranging from 3.3-3.1 inches, beyond 16 power becomes very critical. However, close eye relief should not present a treat to your eyebrow even at x20 when you are shooting a light recoil .243 Win rifle. Vortex Viper 6.5-20x50 represents a great choice for hunting or tactical shooting with a couple of caveats. This particular scope shares many of the same characteristics as much more expensive riflescopes offering at the same time merely optical quality and reliability at an affordable price. The Nikon offers MONARCH 3 line in eight different magnifications making it currently the single largest riflescope series in the Nikon lineup. All members of Nikon Monarch 3 family include 1-inch main tubes and a 4X zoom system that allows 4 inches of eye relief throughout the entire power range. These all-purpose riflescopes are suitable for light-duty hunting or shooting activities and should be on any list of the best optics for .243 Win rifle. With being said that all the optics in this line are water, fog and shock proof, this Monarch 3 is particularly popular optic among whitetails hunters. The MONARCH 3 riflescopes feature Nikon's Ultra ClearCoat optical system that allows for the largest possible light transmission between dawn and dusk making it suitable for every hunting purpose. The great part in popularity also deserves the 42 mm objective lens and an interchangeable zero-reset turrets system that enables switching out dials and caps, depending on user preference. Unlike other Nikon scopes with more conventional reticles, this model features a Bullet Drop Compensating (BDC) reticle, which allows you to adjust the drop of the bullet to up to six hundred yards. Designed in the second focal plan, the reticle features BDC technology optimized for use with Nikon’s Spot On Ballistic Technology. - Two minor things disappoint some users about this scope. While the smaller 42mm lenses diameter is promising low mounting, its objective bell is almost two inches in diameter, requiring that you need medium-profile rings to mount the scope. - Another gripe refers to side knob for Parallax adjustment. It has the distance ranges that are not marked correctly, meaning that the numbers on it do not really tell you the true distance. Anyway, The Monarch 3 4-16X42 is offering almost anything, what an average deer hunter or shooter is requesting from optics, making this riflescope an excellent compromise between the price and quality. We are going to end up with the most expensive riflescope on the list, a Vortex Viper PST Gen II 3-15x44 with reticle located in the First Focal Plane. The Viper PST 3-15x scopes are ideally suited to provide you in close quarters combat as well as designed for engagements at long-range distances in the very harsh environments. The Viper PST (Precision Shooting Tactical) Gen II series riflescopes are the successor of the Vortex Viper PST generation 1 riflescopes, the bestselling and the most favored series of Vortex tactical riflescopes. The more affordable PST line has been modeled upon the Vortex highest quality class Razor HD series riflescopes featuring nearly all the virtues of its distinguished predecessor. Vortex Viper PST Gen 2 lineup boasts enhanced riflescopes with an improved zoom (5x zoom factor instead of gen 1’s 4x zoom factor), accurate Zero Stop feature and enhanced turrets. First things first, the robust, single piece 30mm scope body is machined from a solid block of aircraft-grade aluminum with a hard anodized finish. The high-quality central tube is argon filled with fog proof properties and has O-ring seals to prevent moisture and ensure waterproof qualities. The all exterior lenses have ArmorTek protective coatings to keep glass surfaces protected against scratches, oil and dirt. 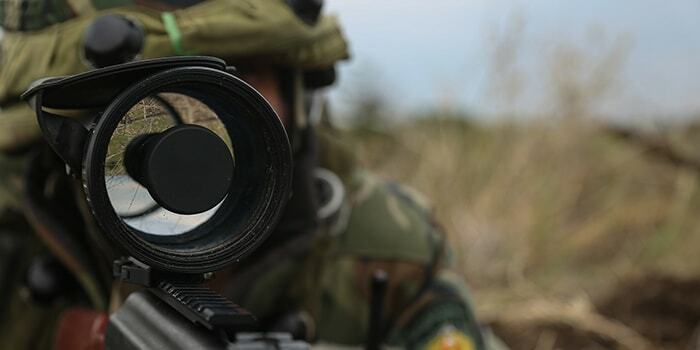 The extra-low-dispersion (XD) glass are fully multicoated, and their optical qualities offer far better edge sharpness than on the previous models matched with a glass-etched reticle protected between two layers of glass. This Vortex Viper PST is utilizing an EBR-2C MRAD reticle, a modified version of legendary German 4 style crosshair with three medium posts. Featuring ten brightness levels, illuminated reticle provides hash-marked MOA-based subtensions lines and detailed hold points for windage corrections, and ranging throughout the entire magnification range. The scope's windage and elevation controls are designed as e open style graduated knobs with red fiber optic position markers on the turrets. Vortex Viper PST Gen II’s series of riflescopes has proprietary RZR (Rapid Zero. Return) Zero Stop mechanism, which keeps the turret from dialing below sight-in range. - However, all the Gen 2 enhancements draw some negatives such as heavier weight and very stiff dials for the magnification, illumination and parallax adjustment. Undoubtedly, this is one of the best scopes for .243Win considering rifle-cartridge combo and your needs. With maximum 15x magnification, Vortex 3-15x44 offers plenty of zoom for the .243 Winchester and the distances appropriate for this caliber. If you are considering an extended range variable scope at an excellent price, the Vortex PST Gen II 3-15x44 FFP is a great choice. The RT S is constructed specifically for the 243 and other rifles. It has multi coated optics and that enhances the image you see. The scope is solidly built, as it is comprised of aluminum that’s been certified aircraft ready. A lot of attention has been placed on the scope’s clarity and it delivers. The lens transmits light so images are even if there is little light, i.e. dusk or dawn. The field of view is good and complements the objective lens. Aiming and locking in on a target is easy and accurate. The eye relief and exit pupil are effective and makes the scope simple to use. While the scope runs fine as is, you can make adjustments until the target is at the right spot. We also have to take note of its waterproofing as it’s very good. The RT S has 1-4 magnification. If your target is far off, no problem as you just zoom and lock in. The scope comes with a 24 mm objective lens. This is the feature that allows the scope to transmit light at optimum levels. The scope is made of aircraft grade aluminum. This provides assurance that the scope is built for the long run. The RT S is waterproof and fog proof. This allows a shooter to use the scope under different weather conditions. The RT S has fully coated multi optics. These optics have been specially selected to enhance clarity even in low light environments. The RT S is one of the most versatile riflescopes you can buy right now. It is very accurate and the range is exceptionally good. With its wide field of view and clear optics, the RT S is a riflescope that you’ll be using for a long time. Barska manufactures a lot of good riflescopes, and the 6-20×50 belongs on this list. It comes ready with fully multicoated optics, and you’ll see the difference as images appear clearer and sharper. The excellent light transmission boosts clarity even in low light environments. The scope has no shortage of adjustment options and the incremental changes you make ha have an impact on the accuracy and range. The lens output quality is sill good even if there is limited light. 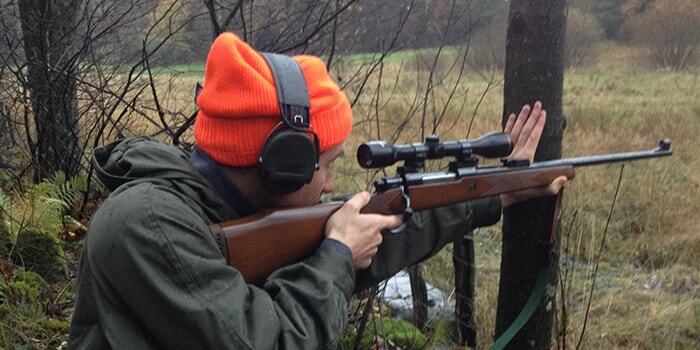 The scope is also one of the best when it comes to dealing with recoil. Even when mounted on a 243 or another rifle, the scope doesn’t shake. The scope works best on the 243, but it is also compatible with a lot of other rifles. As long as it’s fit then the scope should run fine. The scope is also shockproof so it’s got what it takes to withstand heavy duty use. Even if the weather gets damp the accuracy isn’t affected. The scope has 6-20x magnification. This provides the shooter with the flexibility to take a closer look at the target. The scope comes bundled with mounting rings. This eliminates the need for an additional purchase, saving you time and money. The scope has the Barska Accu Lock system in place. This system makes use of a coil spring to keep the interior tube secure. There are side parallax adjustments set on its turret knob. With this you can adjust the scope with accuracy. The scope’s optics are fully coated. For the shooter this allows you to see more even if the target is far away. The Barska 6-20x50 IR Scope is reliable, heavy duty and accurate. The scope handles recoil well and holds zero even after a hundred rounds. The XLT says it is built for hunting big game, and it lives up to that. It fits well on the 242 as expected, and it is also compatible with a bunch of other hunting rifles. Mounting is easy and it doesn’t get rattled even when you’re firing rifles packed with a lot of power. The optics are clear and crisp. Images are clearest in daylight of course, but there is enhanced light if conditions are less than ideal. It is fog proof and waterproof so your vision won’t be affected. Sometimes as clear as a scope is, the target is just too far too see. In this case, you just use the 3-9x magnification until the target clears up. The XLT optics are fully coated for enhanced light transmission. For the shooter it means you will still get high image quality even if it is early morning or dusk. The magnification level is 3-9x. Is the target too far and you can’t see clearly? Just use the magnifier and you’ll see more details even if you remain stationary. The XLT scope is constructed from a single piece. This is standard in the Bushnell line as it increases durability and makes the scope resistant to pressure. The XLT scope is dry nitrogen filled. This makes the scope fog proof and capable of working in damp environment. The scope is 100% shockproof. While this is good for the range, it is strong enough to handle the rigors of outdoor use. The XLT is a good riflescope, easy to adjust and works in various weather conditions and settings. If you are not satisfied with the performance of your riflescope, the XLT is worthy upgrade that will enhance accuracy. The NcStar is compatible not just with the 243 rifle but other hunting firearms. The difference between the NcStar and the ordinary scope is the objective lens here does a better job of transmitting light. When you look in the scope, images come out crisp, colors are produced accurately and there is contrast. The magnification is 3-9x, and that is more than adequate for zooming in and seeing more detail. Even if you zoom in a lot, there is no blurring. The scope is also more effective in dealing with recoil than other scopes. The illuminated reticle is also helpful in many cases though it could be brighter. Overall the performance is steady and reliable. If there are adjustments to be made, it is easy to do so. From the magnification to the field of view, it is easy to fine tune. The NcStar has 1/2 MOA fingertip click adjustment. By making small adjustments you’ll be able to fine tune the scope. The eye relief is 3 inches. This is adequate even when you’re firing a powerful rifle with a lot of recoil. The magnification is 3x-9x. If the target is moving or too far, a few simple adjustments will make the difference. The NcStar has a 42 mm objective lens. This provides the scope with the mechanism to transmit light. The scope FOV is 37.7-12.5 feet at 100 yards. This is what a shooter needs to keep an eye on the target. 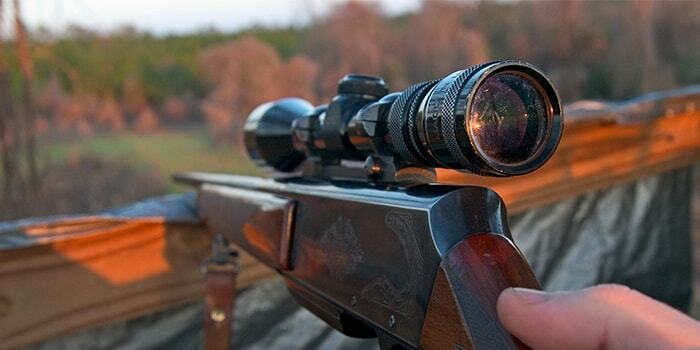 The NcStar has the features you’ll need for hunting game and varmint. It is also very accurate so you will find this useful for target shooting in general. If your 243 is not as precise as you want it to be, consider the NcStar. The VX 2 is one of the more popular scopes in the Leupold line, and deservedly so. The scope is of good quality and the optics are sharp. The amount of light transmitted is very high so you can see the target even under low lighting. The objective lens is also well made and is complemented by the magnification. You can set the scope at maximum zoom in and there is no major distortion. As you may have guessed, the glass is fog proof, waterproof and shockproof so you can take this along hunting. We also like its eye relief as it is long enough to keep the scope comfortable even with prolonged use. Overall, the VX 2 offers reliable performance and its accuracy level is exceptional even among Leupold rifle scopes. The scope has windage and elevation adjustment built in. If you need to make adjustments to correct your aim, you can use this feature. The VX 2 has multicoated optics. This is an integral feature that enables the scope to to produce the maximum of light necessary for a clear image. The scope uses the patented Quantum Optical System. This was developed specifically to enhance the scope. The VX 2 objective diameter is 28 mm. While it may seem small, it is well designed and improves the clarity level. The scope is waterproof and fog proof. For hunters this is a must as it allows you to use the scope in rugged conditions. The VX 2 is as good as advertised, giving you excellent range while still being effective to use. It is also the kind of riflescope you can rely on for hunting and other activities that longtime and new 243 rifle owners will appreciate. The 5 reviews on this guide were written to help buyers find the right scope for their rifle, which in this case is the 243. There are many other reviews online, but we set ourselves apart by focusing only on scopes that are built specifically for this rifle. By limiting the reviews to these, you no longer have to concern yourself with compatibility. These reviews are also written so new and advanced shooters can easily understand what it is about. We cover all the pertinent details so you don’t have to look elsewhere to get the data you are looking for. The pros and cons are also included so you will know what the scope can and cannot do well. The emphasis is on making these reviews as informative and accessible as possible. To ensure this is the case we did extensive research and performed many tests. If you have been using an ordinary riflescope for your 243, the difference is like night and day. The most important benefit is these scopes are constructed from the ground up to function with the 243 rifle. In an idea world you just put a scope on and you can shoot straight and true. But that is not how it works. You need to consider the light transmission, clarity, weight, magnification and so on. You also have to think about how easy it is to make adjustments on the go. What does this all mean? Quite simply that there are a lot of factors that a buyer needs to look into, and if any of these are not up to par there will be problems. If you’re going to buy a scope, might as well get one that is certified to work with your riflescope. Our selection was made by comparing each product’s features to make sure that they match our standards. Not all riflescopes for the 243 are capable of delivering quality results or aiming accurately. To ensure the quality of the selection we used the following guidelines. Quality optics: the optics in these scopes transmit light at a high level, fog proof and waterproof. These qualities are essential in our criteria. Construction: all the riflescopes in our reviews are made from durable materials. Versatility: can the scope be used in fog? Is the scope still usable in dusk or dawn? Compatibility: the emphasis is on 243 compatibility, but the best scopes can also be used on other rifles. Range and Accuracy: we only chose those scopes that are accurate and can be used from a distance. The longer the range the better for the shooter. You want a riflescope that assists in long distance aiming. A scope that is waterproof, fog proof and shockproof. A scope that transmits light and provides consistent performance. A riflescope is an integral part of the 243, as it leads to more accurate shots and easier target acquisition. The reason we came up with these products is to shorten the process of selection so you will be more productive. With a well made riflescope, all those problems with accuracy, lack of range, inconsistency and so on will no longer bother you. 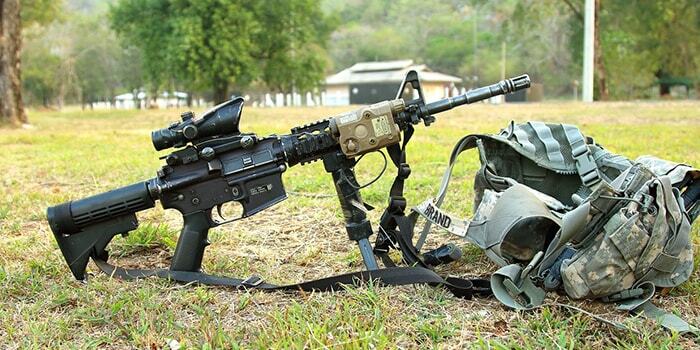 By reading these reviews, you can determine what features are most applicable for your 243. The nice thing about these scopes is they’re versatile and can handle different situations. As these reviews above have shown, all of these scopes are of exceptional quality. Of course while all ten are for the 243, their features and capabilities differ. Since your needs will be different from that of the other user, it is best if you’re the one who choose which is the best scope for 243 rifle.